The second identified area was east of Colchester and north of the Knowledge Gateway, in a place called Crockleford Heath, which is essentially a farming green field area between the old and new Clacton Roads of A133 and A120. 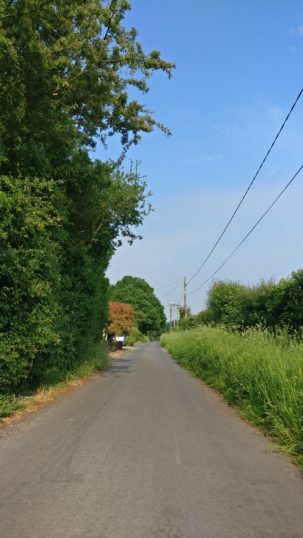 After driving around the area for a while I found a cluster of houses and smallholdings on Chapel Lane, so parked up in a passing bay, being mindful to leave enough room for any passing traffic that may need to use it. There wasn’t much activity here except a a distant trial bike being put through its paces, a passing car and bicycle.